Under its new ownership, Charlton Flea Market & Antiques became Charlton Antiques & Flea Market. Regular shoppers who consider it a must-go market for antique and vintage treasures just call it the Charlton Flea Market. Charlton Flea Market & Antiques opens every Saturday and Sunday, except on some major holidays. But, different areas of the flea market and antique store have different times and different hours. Shopping hours 7 a.m. to 3 p.m.
Saturdays 7:30 a.m. to 3 p.m., Sundays 7 a.m. to 3 p.m.
Shopping hours 7:30 a.m. to 3 p.m. The more than 125 vendors at Charlton Flea Market & Antiques sell everything from fine antiques to discount groceries. 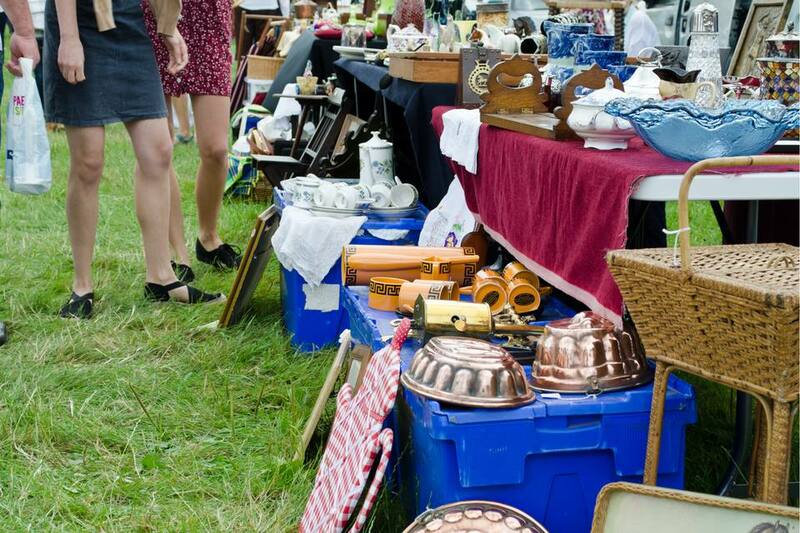 But, the majority of the booths (around 75 percent) feature antique or vintage goods. Go hungry on Sundays. The full-service kitchen opens for breakfast and lunch from 7 a.m. through 2 p.m. While you're at the flea market, visit the co-op building to browse the antique and vintage merchandise in the permanent antique-mall-style booths. The co-op building opens from 7:30 a.m. to 3 p.m. on Saturday and Sunday. Don't be afraid to haggle on price, especially in the flea market areas. Lots of sellers are willing to negotiate on price -- as long as you don't haggle the rude way. Take lots of cash and your flea market tool kit. You'll need both. Booth prices vary according to location: indoor flea market, outdoor flea market, or antique co-op. Permanent indoor booths at indoor co-op function like antique mall booths. You stock and stage your space, but you don't have to be on hand during shopping hours.